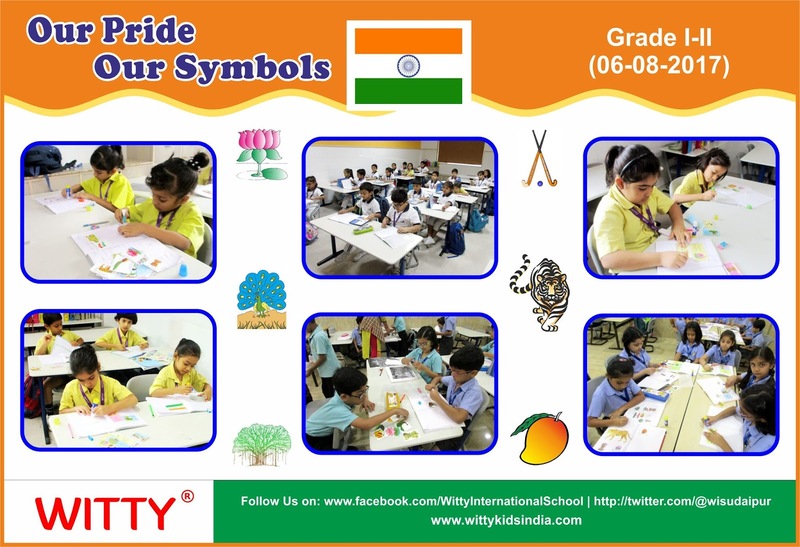 At WIS Udaipur, on Monday i.e 6th August 2018, a special activity was conducted to invoke a strong sense of patriotism among the students of grades 1 and 2. To express the patriotic spirit and love for our nation, the students participated with full zeal and enthusiasm. They pasted pictures of national birds, animals, emblem and other National symbols and shared their knowledge about them with each other. Everybody in the class vowed to be a part of Team India and spread universal brotherhood and peace.